With three levels of opulent space evoking a Moroccan oasis, Le Souk delivers experiential dining "loaded with North African atmosphere and flavors," according to The New York Times. 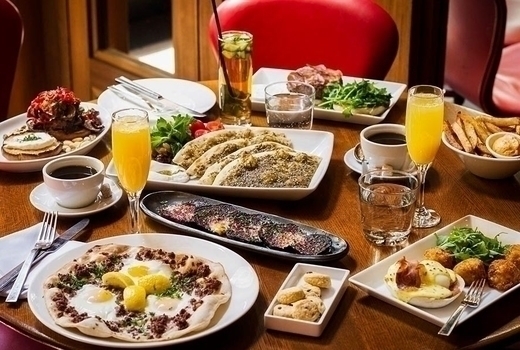 Grab your $35 pulse (a $70 value) for a mesmerizing bottomless brunch for two, comprising 2 Entrees and 2 Hours of Unlimited Bloody Marys, Bellinis, Margaritas, and Mojitos. The menu by Michelin-starred chef Doug Psaltis brings together brunch favorites with North African and French influences. Try the Chipotle Eggs Benedict (Canadian bacon, tomato fondue, hollandaise) or the Fried Chicken served with buttermilk waffles, whipped cream and berry coulis for the ultimate in brunch decadence. Enjoy brunch in the gorgeous dining room, decked out with pendant lamps and filigreed screens, perfect for taking in the glamorous vibes; or, take to the heated outside patio overlooking one of the most charming blocks in Greenwich Village! 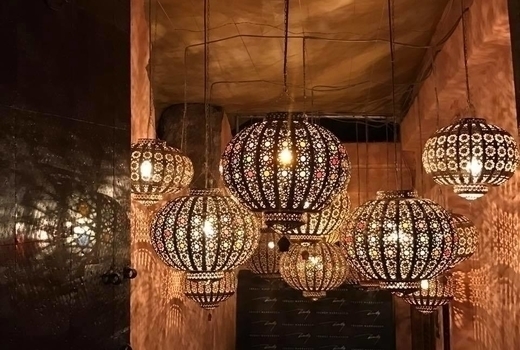 Featured in publications from The New York Times to New York Magazine, Le Souk is a nouveau Moroccan restaurant that seamlessly blends culinary adventures, immersive ambiance and social fizz. Lauded chef Doug Psaltis (3 NY Times stars) helped create the Tangiers-inspired menu, where worldly flavors and textures collide to delicious results. The Moroccan Chakchouka is a house specialty of eggs poached in a fragrant tomato stew. For sweets, try the Strawberry French Toast - a crisp and fluffy caramelized brioche topped with whipped strawberry cream cheese. 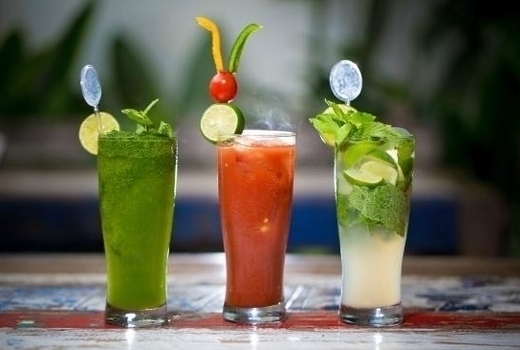 Rounds of freshly squeezed brunch cocktails will transport you to a captivating caravan feast. The perfect way to celebrate any weekend! 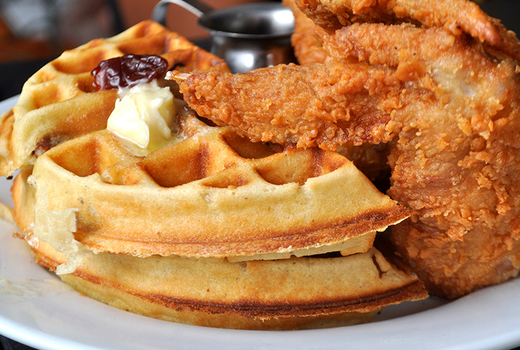 2 Brunch Entrees (up to a $14 value). 2 Hours of Bottomless Bloody Marys, Bellinis, Mojitos and Margaritas. "Had an amazing brunch, food and drinks were amazing. Ariel was our waiter and from the moment we walked in he greeted us with drinks. It's was definitely a great brunch!" "Amazing vibe and awesome food with amazing service from the staff. Drinks on point as well. Will def come back and recommend this place to all my friends." "Great eggs Benedict, phenomenal brunch! Service is great, and food and drinks are so delicious." Tax & tip not included; pulsd voucher reservation required. Limit 1 voucher per table; for maximum party size of 2.